The days of Adobe Acrobat ruling the roost of PDF creation and editing are long gone. If you’re looking for a powerful, yet affordable, alternative to Adobe Acrobat, then Nitro Pro 11 has all the tools you need. Nitro Pro contains everything you need to master PDFs, from viewing and creating to editing, annotating, collaborating and sharing. Version 11 has just been released, and you can grab yourself a perpetual license for an amazing 20 percent off the MSRP. 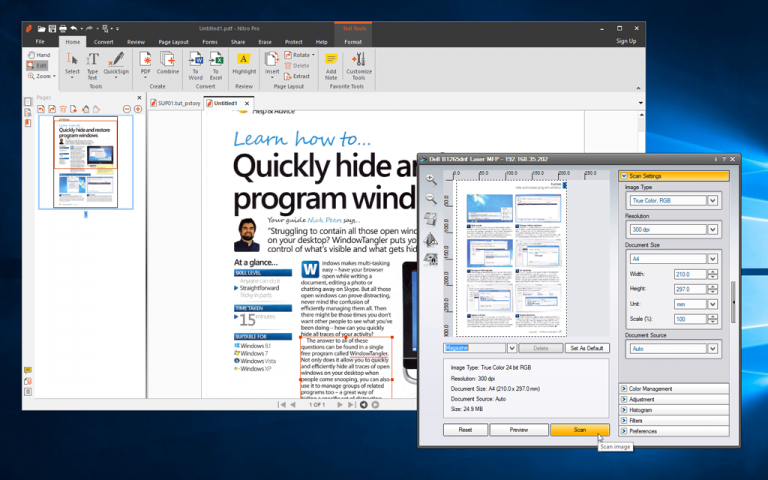 Nitro Pro has long been our PDF editor of choice -- and version 11 is the best release yet. 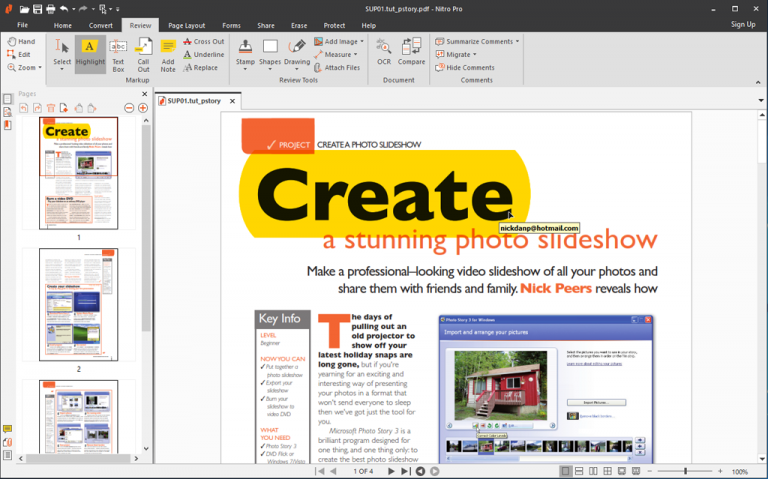 It’s been tweaked to provide a shorter learning curve for new users, and will be instantly familiar thanks to the Office 2016-inspired design refresh, which extends to an improved Backstage view. You can now customize the Home tab to include all your most-used tools thanks to a new Add Tools button, which lets you place up to five additional tools of your choice on the tab in the ‘Favorite tools’ section. Select your category, highlight a tool and click Add>> to include it on the Home tab. New users will also appreciate the new Smart Tips suggest feature -- its context-sensitive nature means it appears with timely, relevant advice. The new release also comes with noticeable performance improvements when opening large documents, while the addition of new pre- and post-processing techniques help improve the PDF’s quality when preserving the layout and design of an original document. Users also gain more options when laying out and printing documents, with a new Booklet option and improved handling of multiple-page scans. The new release also widens its support for integrating with cloud storage providers, natively working with Dropbox, OneDrive, Google Drive and Box. These improvements seamlessly integrate into Nitro’s existing capabilities. It’s brilliant as preserving document layouts when converting to PDF, and thanks to its powerful editing tools you can perform tweaks on the finished PDF document itself: swap out images, change entire paragraphs of text, and so on. Nitro is also adept at converting PDFs back into fully editable documents, making it possible to open them in Word, Excel and other text editors. You can extract images and text directly from PDFs, plus quickly generate multi-page PDF documents from a variety of different documents (and even document types). Those pining for decent collaborative and annotation tools, will be pleased to learn that Nitro delivers in spades, all of which play 100 percent nicely with Adobe Acrobat. There are also approval controls, digital signatures and form filling. You can restrict access via passwords, redact sensitive data -- the list goes on and on. And better still -- remember we talked about its Office-like ribbon?It means all these wonderful tools aren’t buried away, they’re easily accessible and quick to master too. Don’t believe us? Then download the free, fully functional 14-day trial of Nitro Pro 11 for yourself and discover for yourself just how powerful and versatile it is. When you come to realize you can’t live without it, head on over to the Downloadcrew Software Store for a fabulous offer. The full version retails for $159.99, but you can purchase a perpetual single-PC license from the Downloadcrew Software Store for the bargain price of $127.99, saving you $32, or 20 percent, on the MSRP.